I waited a long time before purchasing this stamp set and I am really going to miss working with it when it retires at the end of the month. It is such a beautiful set and work for so many occasions. 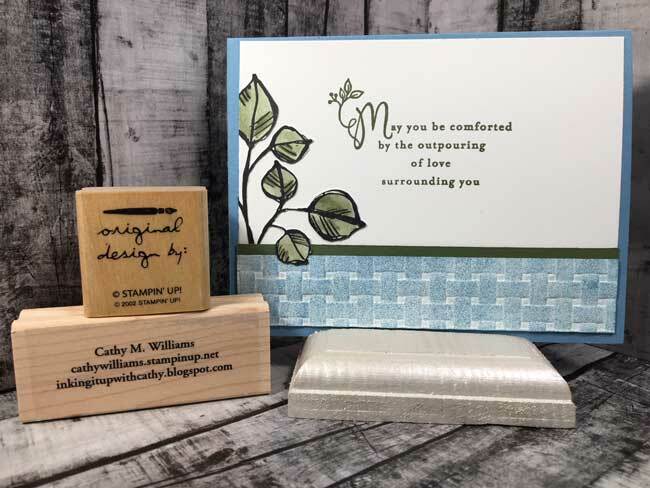 Unfortunately, I have found myself needing too many sympathy cards this past month and I think this stamp set works perfectly for that. The Heartfelt Sympathy stamp set which I used for the sentiment inside is also a great set for these cards. 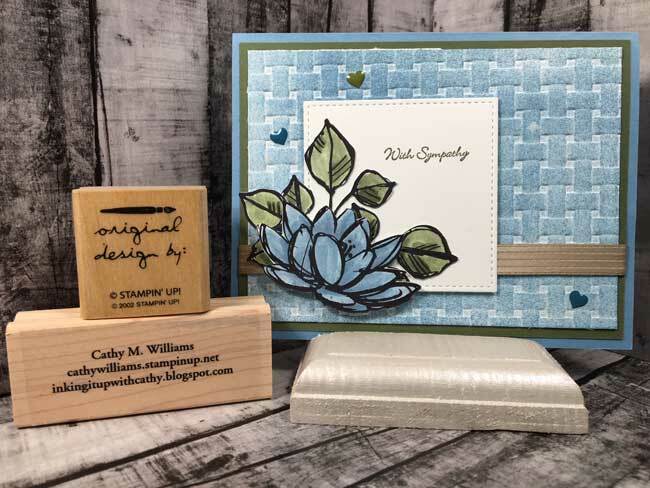 The background is done by embossing Whisper White card stock with the Basket Weave embossing folder. I then used the sponge brayer and Marina Mist ink to lightly color the tops of the weave. 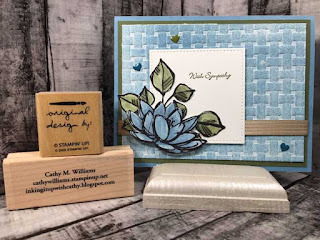 The flower and leaves are colored using an AquaPainted and Marina Mist and Always Artichoke ink. I agree with you that I have needed too many sympathy cards lately. It feels good to send a handmade card. This is a beautiful card, especially the embossed background. Enjoy your day!